I think we’ve all stayed in a YHA at some time in our lives – whether it be for a school trip, a scout weekend or backpacking. We all remember having to make our own beds, drying our wet boots in the drying room, the shared bathrooms – fond memories! However I’m here to tell you that the YHA is a great option for a budget toddler friendly holiday. 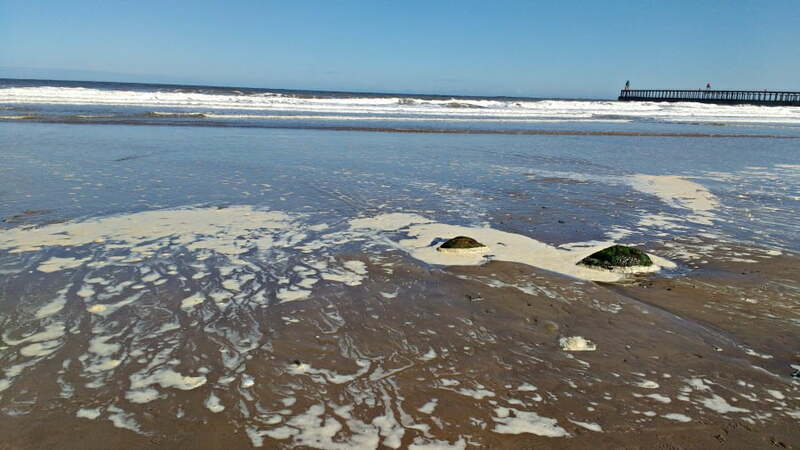 Last weekend we spent the night at the YHA Whitby with our toddler and 5 year old, and had a great time. In all honesty, I would never have thought about staying in a YHA with a toddler. We practically lived in them for a year when we went travelling, but nowadays I try and find the bargain rooms at the Premier Inn when we go away. However, that usually means that we are all squashed into one room, and my husband and I have to sit in darkness whilst the boys go to sleep. And that’s where the YHA comes in. 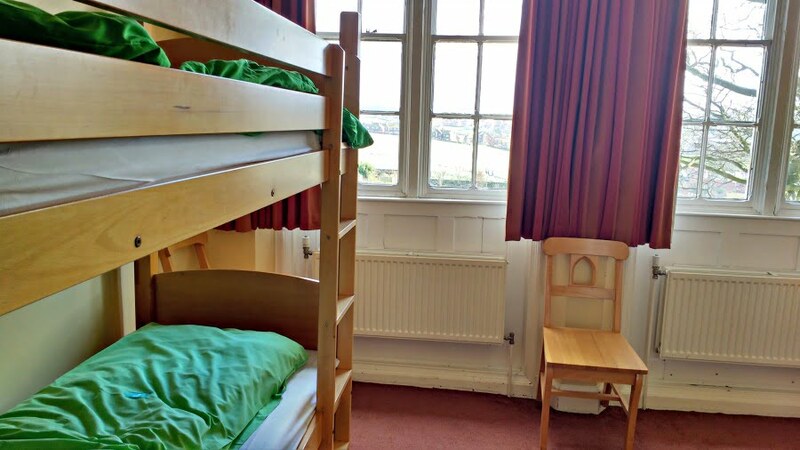 The YHA have recently embarked on a multi million pound investment programme refurbishing their hostels and putting in more family friendly facilities. They still retain their charm and their character, but they are a bit more comfortable now and are aiming at the family market. 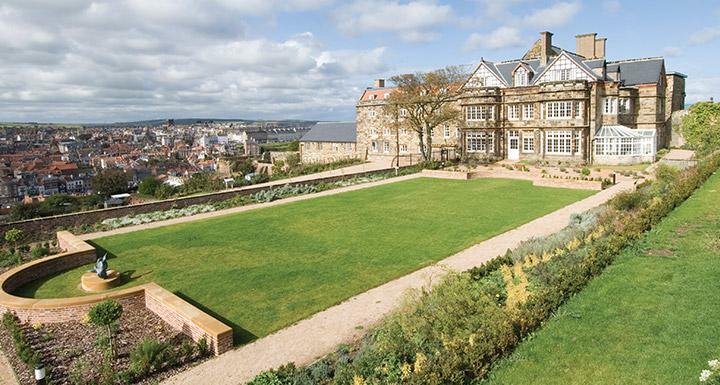 The YHA at Whitby is a 4* hostel in a Grade 1 listed mansion perched on the top of the cliffs overlooking the rooftops of Whitby and the North Sea. 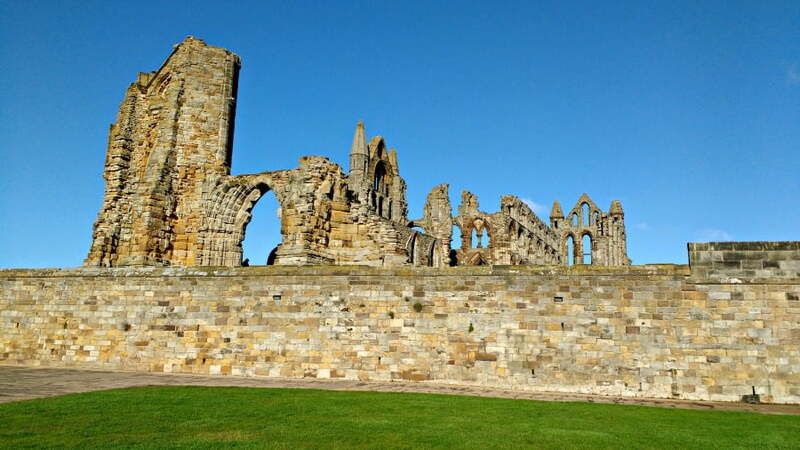 It is a short walk (via 199 steps) to the restaurants, shops, and beach, and is located next to Whitby Abbey which was the inspiration for Bram Stoker’s tale of Dracula. We stayed in a Private Ensuite Family Room which consisted of 2 bunk beds in a fairly spacious room with views over the gardens. There are also Family Rooms with a Double Bed which I would probably choose in the future (I’ll leave the bunk beds for the children! ), but in this instance 2 bunks was fine. If I was being fussy, I would say that the bed was a little hard and I would have liked an additional pillow, but as my husband pointed out, we were staying in a youth hostel not a luxury hotel. The beds were made up too which was a bonus! There was plenty of room for a cot (which can be borrowed from the YHA), but the top bunks had a high rails so my toddler climbed up and claimed it for himself. The room was nice and warm with an extra radiator in case we got cold. 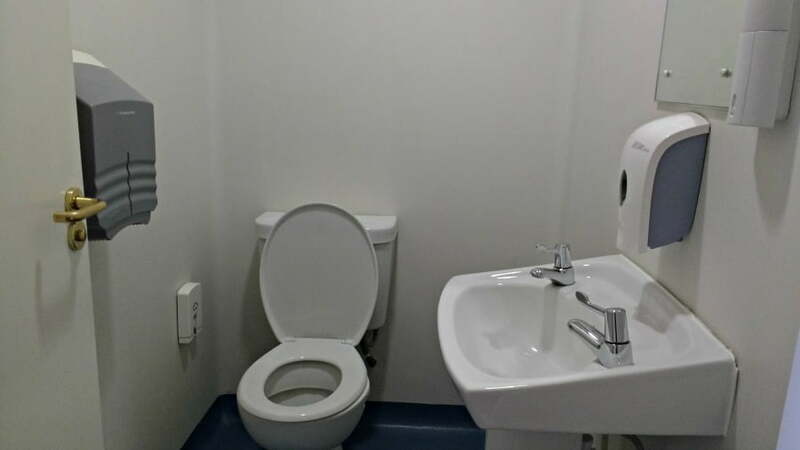 There was a separate shower and toilet room too. 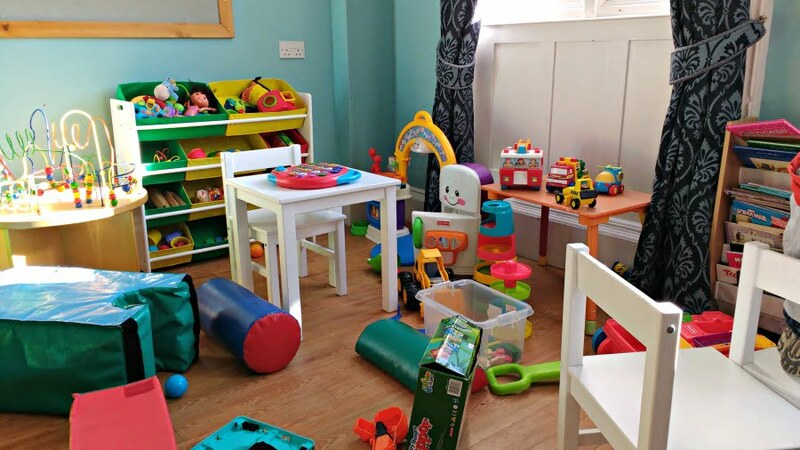 The boys absolutely loved the room – they thought it was great that we were all staying in the bunk beds, but I have to say that we didn’t spend much time in the room because they had spotted the playroom downstairs. There is a playroom downstairs near to Reception which was full of toys and books. They were in really good condition so the boys spent plenty of time playing there whilst we read magazines. As it was just downstairs, it meant we could pop down a few times during our stay. There is a large garden outside too with picnic tables which would be perfect for playing in during the summer months. Again, due to the nature of the YHA, I wouldn’t have any hesitations about letting the boys run wild and make loads of noise! There is a kitchen in case you want cook yourselves. We didn’t use this as there is a Tea Room onsite which serves breakfast and evening meals. Breakfast cost £5.99 for Adults and £2.99 for Children. This consisted of cereal, yoghurt, a full English Breakfast and toast. There was also a playhouse in the Tea Room too. We wandered down to Whitby for fish and chips in the evening. One of the best things about staying at the YHA Whitby is the location. You get the best of both worlds; fantastic views, the space, parking but you are also just a 5 minute walk from the centre of Whitby. Admittedly, this is down 199 steps which was fine for my toddler if we took it slowly and held his hand, but would cause a problem for babies in prams and pushchairs. I believe there is a longer more pram friendly walk into town from the YHA, but this needs to be a consideration if you are planning a stay. 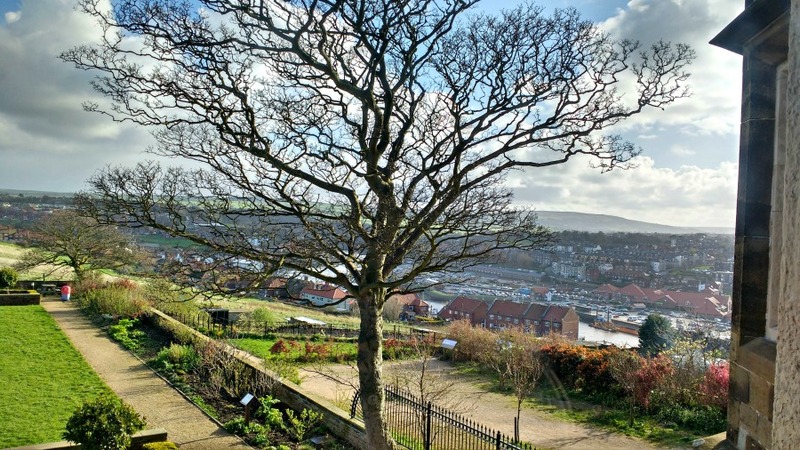 In Whitby, there are lots of little shops, restaurants, a life boat station, beaches, boat trips and of course Pannett Park for babies and toddlers. The YHA has a homely feel to it with a large lounge, games room, play room, kitchen and an onsite Tea Room serving breakfast and evening meals. The boys were able to run around and explore without us needing to tell them to keep the noise down. There aren’t any fancy ornaments or posh furniture so the boys could make themselves at home without us worrying that they were going to break anything. The playroom and large garden are brilliant for families with young children. The rooms are spacious, clean and have everything you need. There was a little bit of noise from upstairs (banging around) which started about 6.30am but we were already up by then so it didn’t cause us a problem. There wasn’t any noise during the night. You do need to take your own towels though. 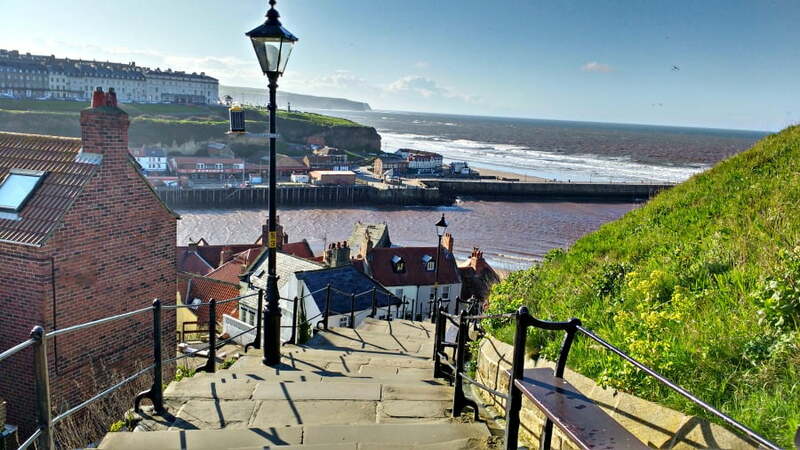 My toddler is a good walker so he didn’t have many problems going down the 199 steps into Whitby taking it slowly with a bit of hand holding. However, younger toddlers who are learning to walk or are a bit unsteady on their feet would have to be carried. For babies, I would definitely recommend taking a baby carrier rather than the pushchair. Staying at a YHA definitely feels like a bit of an adventure – give it a go! Private ensuite family rooms cost from £39 per room per night at Whitby. There is limited parking onsite, and pay and display parking nearby. Don’t forget to bring your own towels. There is free WIFI in the hostel. Cots are available to borrow. There are baby change facilities onsite. 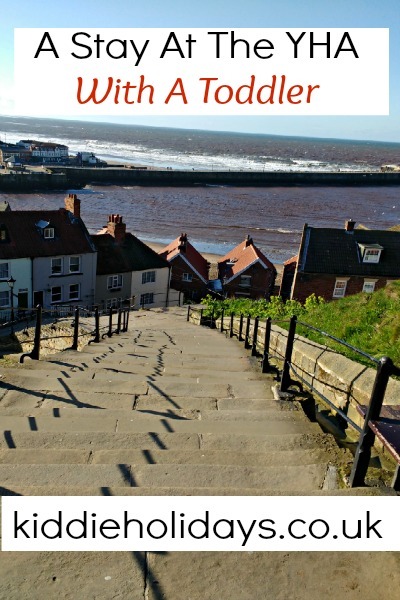 Click here to book a room at the YHA Whitby. Thank you to the YHA Whitby for our stay. WOW! I’ve travelled to Whitby when I was in my 20s, and I’ve got to say that hitting YHA’s with a toddler seemed like the craziest idea in the world back then. Now I’ve got a toddler of my own, and this post has just blown my mind! What a great set-up with the playroom and the family room options – totally making family travel affordable and fun!